Follow the steps below to convert the prices that display in Searchanise's full-text search widget. 1. Starting from your Searchanise app dashboard, navigate to the Preferences tab. 2. Tick the Enable Coin app support checkbox. 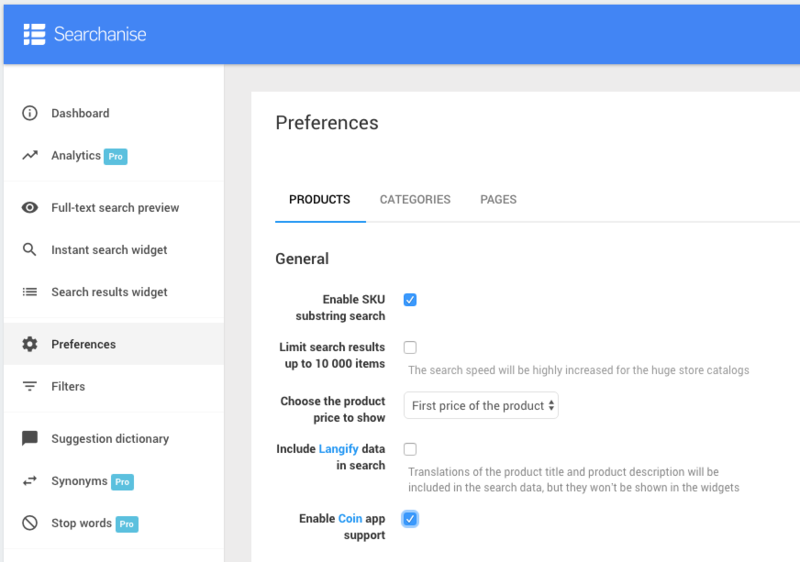 After these steps have been completed, the prices in Searchanise's full-text search widget will be converted to the currency set in Coin. If the prices aren’t converting, try clearing your browser's cache and reloading the page.